This is a good mix of love story and a reflection on family and friendship. I did enjoy the book but it didn't really ignite that spark for me. Whether this was because of the characters or the situation I'm not really sure but somehow it all felt a little bit "style over substance" for me and I found that I couldn't really connect with the characters or their situations. Laurie and Sarah are a strange mix for best friends, very much portrayed as complete opposites in more or less everything. Laurie is unlucky in love and is searching desperately for Bus Boy, her career is, to be polite, stalled and she appears to be close to her family. Sarah is ambitious and her career is starting to go places, she appears to make token visits to her family more for appearances sake than out of real affection and her love life is on the up and up; especially after she meets Jack. Jack I couldn't really get a handle on at all, he is a bit of a cipher despite being an intrinsic part of the story. Oliver is even more broadly drawn and he is all a little bit of a cliche. I did like how to book is sectioned off in to years and then only certain dates and events are visited. This does keep your interest although it does make for a somewhat jumpy read at times. As in real life there are some things that seem to fall by the wayside and never get resolved and others that are blown out of all proportion. Although this sounds like a complaint it is actually a compliment as it does give it a nice ring of authenticity. My real problem with the book is that none of the voices are distinct. Laurie, Sarah and Jack all sound very alike on the page and this reminds you constantly that you are reading. This prevents you from sinking in to the story in the way in which the author surely intended us too. 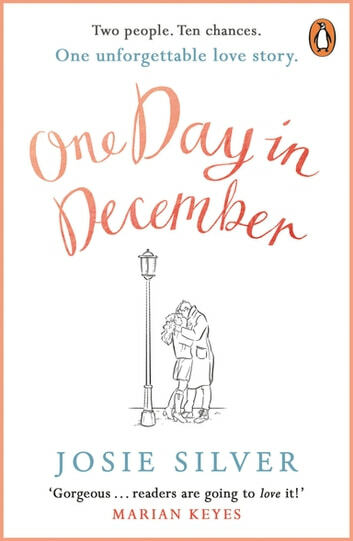 Being that one step removed did spoil things for me somewhat and meant that after the opening chapter where Love Actually is referenced quite a lot I found myself looking for further references to it - sad to say I did find a few but mainly references to clothing rather than actual situations. I did sort of enjoy this book but it just didn't grab me and refuse to let go. I can't really talk about the plotting as this gives the whole book away and spoilers really aren't my thing. There are some stand out moments, plotwise, but they mainly revolve around loss rather than the more joyous moments in life. 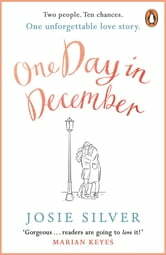 Loved it, great read, love story to remember. The anguish of loving someone who through circumstance you can't be with. Great perspective from both main characters. Wow! Finishing the book with tears in my eyes. A heartwarming tale of love that finds its way in the end. Found myself routing for the characters, and emotionally invested in them. Cleverly remains realistic without becoming contrite. Loved it. Best book i’ve read in a long time, once i started i couldnt put it down. Highly recommend it!